Activated Distillers Carbon - 3 oz. $2.99 & FREE Shipping on orders over $59. 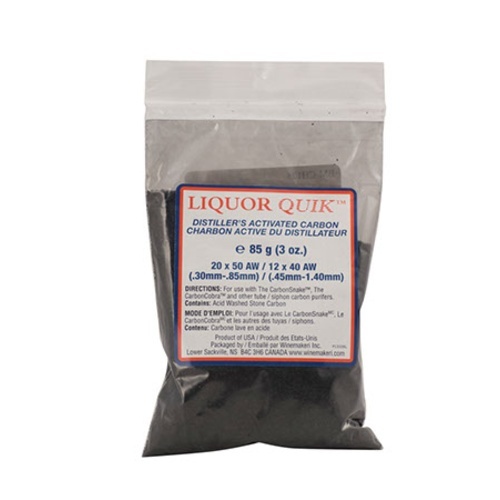 Liquor Quik activated granular carbon for filtering distilled spirits or high alcohol fermentations. Sold primarily as a refill for the Carbon Snake filtration system, but can also be used in any filtering apparatus to remove impurities and smooth out flavors.